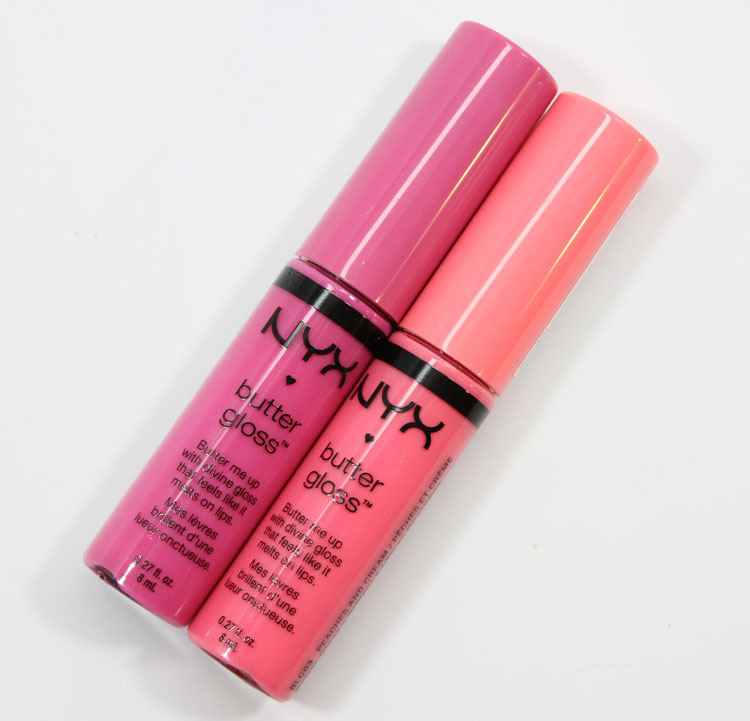 NYX Butter Glosses are a fairly new product and I decided to pick up a few when I was at Ulta recently. 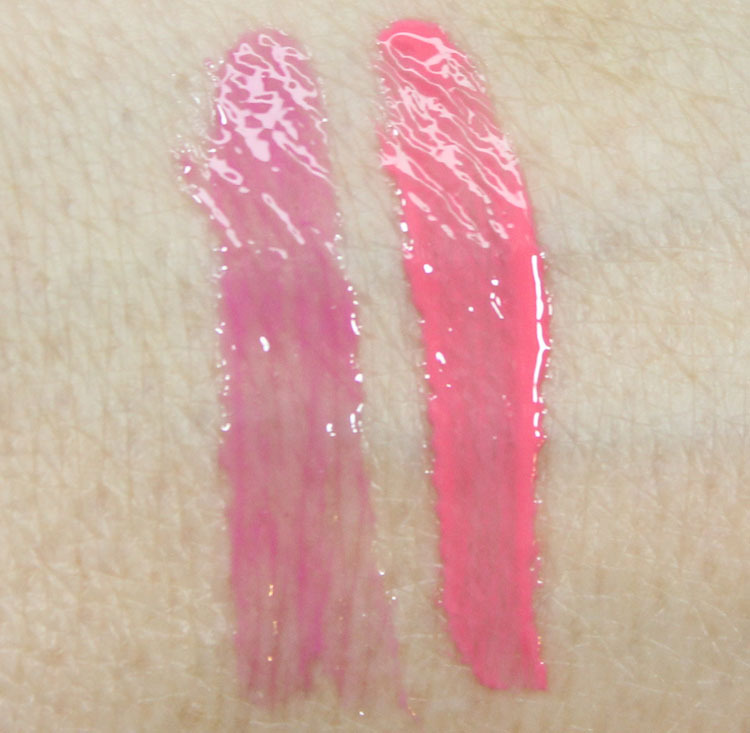 These glosses, which are kind of like a lip gloss/lip balm hybrid, come in twenty-two shades and they are non-sticky. They do each have a sweet cookie-like scent to them, which I don’t find too overwhelming or fake. They have a sheer to medium coverage, so don’t expect a WALLOP of color from them. What I do like though is that they’re soft, nourishing and shiny. Strawberry Parfait is a light lavender. Peaches And Cream is a medium peachy pink. Overall: Well Peaches And Cream, which was the more pigmented shade, did settle into my lip lines quite a bit, so it didn’t wind up being my favorite formula. Strawberry Parfait was a bit more sheer but I didn’t have the lip line settling. Both feel very nice on the lips and the last maybe 2 hours without me feeling like I need to re-apply. I wasn’t blown away by these, but would like to check out some other shades in the future to see what else they have. Pricing: $5.00 for 0.27 oz. Have you tried these Butter Glosses yet?